Barbie and Ken need your help. Chose clothes for them and different accessories, so they will look great. Have you ever seen Barbie and Ken playing games? This one is their favorite. 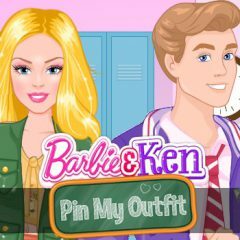 Barbie wants to dress up and Ken doesn't mind, so do it!